The Adelaide is for the free-spirited at heart. Soft tulle adorned with a shimmering hand-embellishment drapes delicately over the bodice and shoulders of the bride. 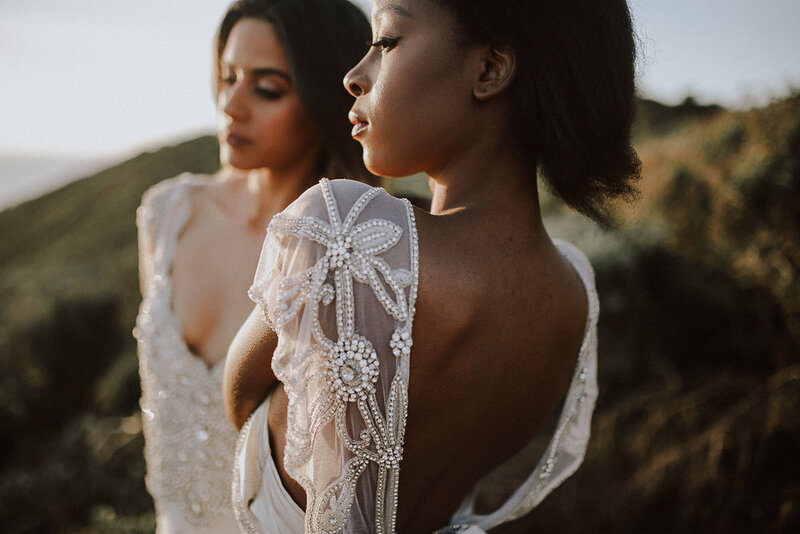 All Adelaide dresses feature a hand beaded silver toned embellishment, a 100% Silk Dupion bust, and 100% Silk Satin skirt lining (with the exception of the Summer Silk Chiffon Skirt and Fitted Silk Crepe De Chine skirt options, which feature a power mesh lining). 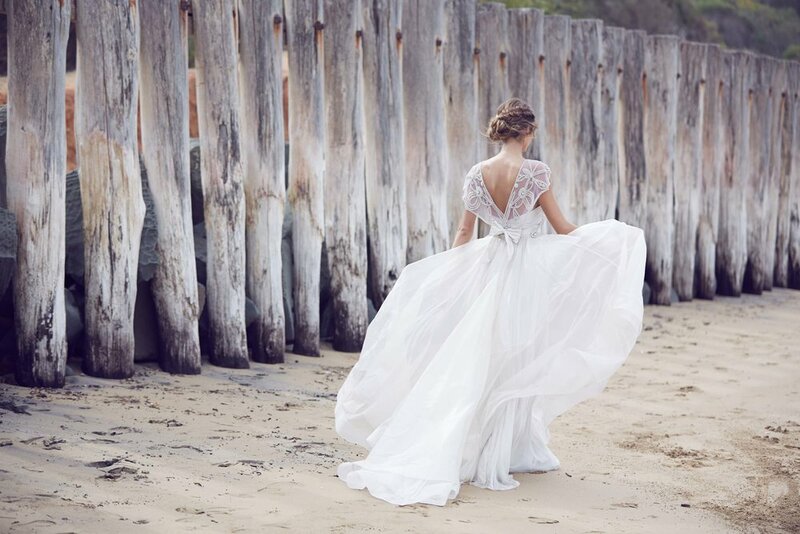 Customisable just for you, the Adelaide has multiple skirt options available including Brocade Silk Chiffon, Fit and Flare Lace, Fitted Silk Crepe de Chine, Silk Organza, Silk Tulle, Slim Line Lace, Slim Line Silk Chiffon or Summer Silk Chiffon. Low, open back finished with a silk bow. All skirt options include a modern, in-built train that is easily bustled with a silk or lace covered button.